It’s dark.Your heart is beating fast, your adrenaline is pumping, running as fast as you can… suddenly you see something strange in the corner of your eye. Was that the lantern light from ghost Joe Baldwin? Did you just pass a hanging skeleton? Are those 10 year-old goblins nipping at your heels? Kick it into overdrive. That’s what runners may experience at the first annual Maco Light Legend 5K and Fun Run. Charter Day School recently announced the Maco Light Legend 5k and Fun Run will be held on Saturday, November 13, 2010 at 3:30 p.m. at the Charter Day School campus in Leland, NC. Registration on the day of the event begins at 2:30 p.m., but pre-registration is encouraged. The Maco Light Legend 5K and Fun Run is sponsored by The Roger Bacon Academy, Coastal Habitat Conservancy LLC, Banks Photography and is for adults, children, family runners and walkers. This cross country/haunted trail race runs on the old train track known to have the legendary Joe Baldwin ghostly light. There will be a bonfire and party after the race with vendor/sponsor booths, hot dogs, refreshments, entertainment and awards. Participants can register online at http://www.charterdayschool.org and sign up for the 5k run or the Fun Run. The pre-registration cost on or before Nov. 12th for the 5k is $25 and $30 day of the event. The pre-registration cost on or before Nov. 12th for the Fun Run is $10 and $15 after. Registration forms and checks, made out to Charter Day Booster Club, can be mailed to Charter Day School, 7055 Bacon’s Way NE, Leland, NC, 28451. All ages are welcome to participate in the 5K and Fun Run. The first 200 pre-registered individuals will receive a free t-shirt. To keep runners and walkers well hydrated during the race, the course will provide Maco Light Legend themed water stations. The Maco Light Legend associates the story with Joe Baldwin, a train conductor who is said to have been decapitated in a collision between a runaway passenger car and a locomotive at Maco along the Wilmington-Manchester Railroad in the late 1800s. According to legend, Joe Baldwin was the sole occupant of the rear car of a Wilmington-bound train on a rainy night in 1867. As the train neared Maco, Baldwin realized the car had become detached from the rest of the train. He knew another train was following, so he ran to the rear platform and frantically waved a lantern to signal the oncoming train. The engineer failed to see the stranded railroad car in time, and Baldwin was supposedly decapitated in the collision. 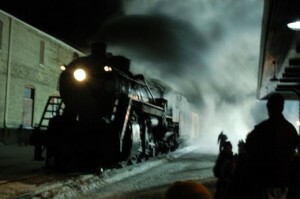 Shortly afterwards, residents of Maco reported sightings of a mysterious light along the railroad track. Word spread that Joe Baldwin had returned to search for his missing head. The legend became widely known, and the site is still frequented by curiosity seekers. Charter Day School is a tuition-free, open enrollment K-8 public school in southeastern North Carolina. Since 2000, Charter Day School has focused on quality education and is a premier performance-driven year round school. Widely recognized as a compelling choice to conventional public education, the school has built a reputation for dedicated and highly qualified teachers that give students a strong and proven academic foundation. Charter Day School has received numerous awards, including the designation of being a Top-25 School for Academic Growth and of Excellence in the state of North Carolina.